There are destinations one must experience when visiting Newfoundland and Labrador. The Town of Conche is one of the those unique spaces that offers a package of culture, authenticity, nature, history, adventure and so much more. I have a t-shirt from two young entrepreneurs from the community, which states “good food, good drink and good company”. That line sums it up nicely that there is incredible hospitality that exists past Sailor Jack’s Hill. 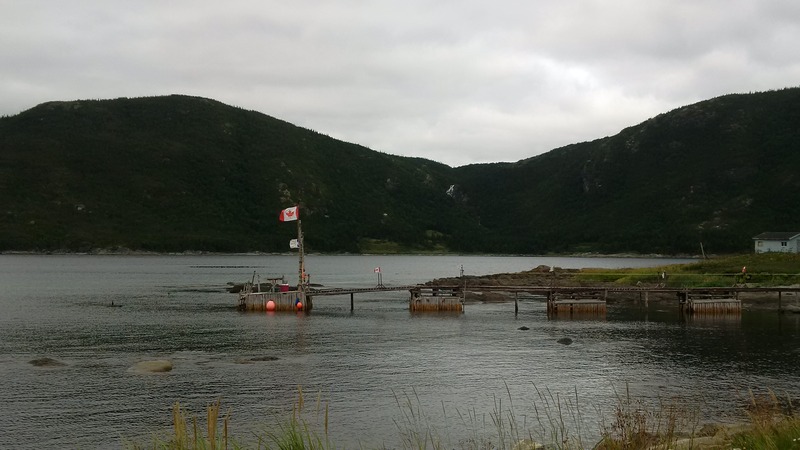 Conche is a vibrant town with an active fish plant that employs dozens of people from across the region, a tourism economy with the French Shore Interpretation Centre and it’s tapestry on fine display. There is an artist retreat, bed and breakfast, cafe convenience store, zodiac tours, playground, walking trails, lounge and lots of learning and entertainment for all. The people of Conche are resilient, working hard to find solutions to complex problems. A 25 ft extension has been added to the present wharf infrastructure, water supply improvements are occuring and the fire hall received an expansion. The Town Council has been very active working on these matters and also successful in obtaining new pavement throughout the Municipal boundaries, after a failed chip seal program. This will greatly benefit those who want to experience the beauty or settle in this Town. Residents get relief by saving their vehicle from mountains of potholes. However, there is a caveat of having to drive over 17.6 KM of gravel road, which requires paving to expand the economy of not only this Town but the entire region of the Northern Peninsula East. It is truly a pleasure to work with those who have a strong sense of community and press hard to economic development and long term sustainability. The communities of the Great Northern Peninsula have natural leaders, attractions, amenities and new opportunities. They await your visit, your investment of time to experience our destinations. Conche is one of those destination towns. Come and stay for awhile. Posted on January 15, 2015, in Art, Business, Community Economic Development, French Shore, Heritage, Landscapes/Geography and tagged Conche, culture, French Shore, Great Northern Peninsula, Hospitality, Newfoundland and Labrador, tourism, Travel and Tourism. Bookmark the permalink. 4 Comments. So will you commit to paving it as a Liberal government? I am not in a position to make such a commitment. When I campaigned in 2011, I promised to make this an issue and work towards getting Route 434 paved. I have presented petitions, written letters and raised this concerned many times in social media, public and the House of Assembly. Advancing transportation and telecommunication networks are key to economic diversification. I will continue this position and seek resources to see Route 434 paved. But you can’t justify it, according to people I’ve spoke with in the department, so … no. But no one will tell them it won’t happen, either.